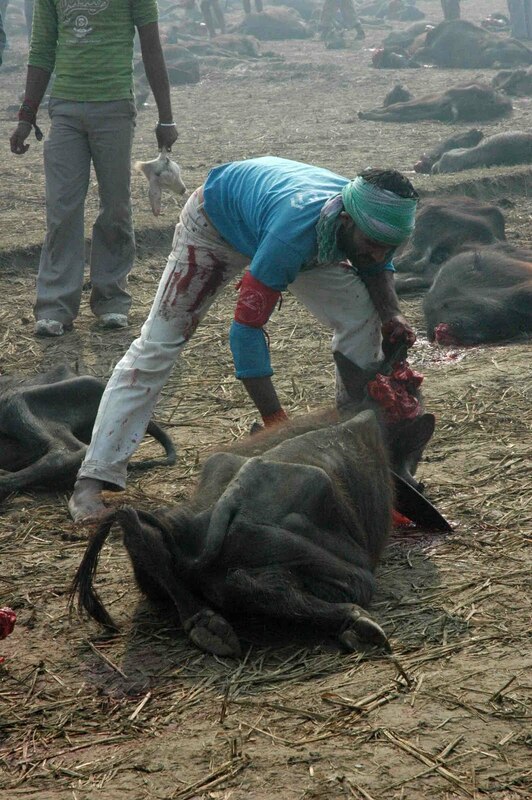 In Nepal animal sacrifice is widely practiced. Goddess temples awash with blood on days deemed auspicious for sacrifice. 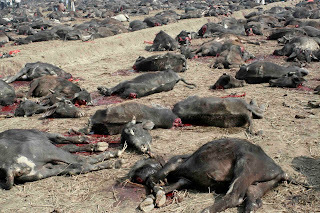 During festivals even more animals are being sacrificed, at times hundreds of thousands in the span of 24 hours. 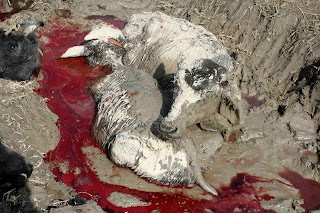 Nepal’s government subsidizes certain animal sacrifice rituals such as Dasain sacrifice (shown live on national TV) and Gadhimai festival. The Nepal army and police regularly conduct sacrifices. 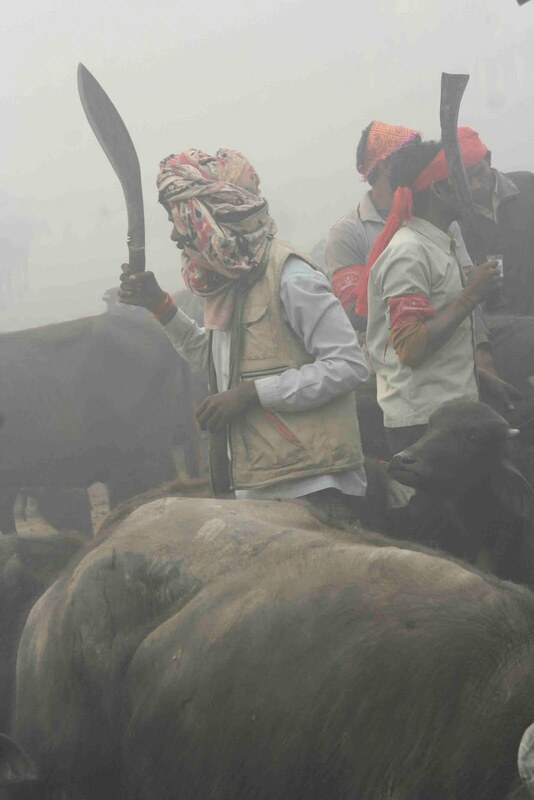 The Animal Welfare Network Nepal together with local and international partners has launched a 5-year campaign aimed at phasing out animal sacrifices and cruel sports within Nepal. 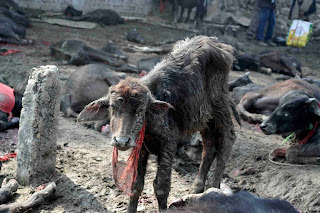 Visit the campaign website www.stopanimalsacrifice.org, sign the petition and write letters to Nepalese authorities to express your concerns.